David Rose is a Research Fellow with the University of Sydney, currently coordinating a national research program in language and literacy for Indigenous Australians. This project, Learning to Read: Reading to Learn, works with schools across Australia, as well as Indigenous teacher training programs in University of Sydney and University of South Australia. This book presents the research of the ‘Sydney School’ in language and literacy pedagogy. Widely known as genre-based pedagogy, the research is cutting-edge, but is built on 30 years of developments in the field, in a unique collaboration between functional linguists and literacy educators. This collaboration has transformed linguistic and pedagogic theory into a powerful, comprehensive methodology for embedding literacy teaching in educational practice. The book is written to be useful for practitioners, researchers and students, building up pedagogic, linguistic and social theory in steps, contextualized within teaching practice. Topics covered include the genre-based writing pedagogy, genres across the school curriculum, pedagogy for learning through reading, and the pedagogic metalanguage developed in the research. On one hand this volume offers educators an unparalleled set of strategies for transforming educational outcomes; on the other it offers researchers powerful tools for investigating and redesigning educational practice. This chapter introduces the work on genre-based literacy pedagogy that has developed in the Sydney School over the past three decades. It begins with the social and educational contexts in which the Sydney School project began, followed by an analysis of the contexts of schooling informed by educational sociology. We then sketch out a general model of pedagogic practice that can be applied to integrating literacy teaching with learning the curriculum, with the goal of overcoming the inequality of outcomes produced by the school. The chapter concludes with an outline of the model of language in social context that underpins genre pedagogy. This chapter focuses on writing in infants and primary school, describing the first phase of the Sydney School research, the Writing Project and Language as Social Power project. It first outlines the context in which our work began, outlining the kinds of writing we found in Australian primary schools at the time. The range of genres that primary students are expected to write are then described, and the model of genre that developed out of this work is introduced. We then outline the development of the pedagogy designed to apprentice students into control of these genres and illustrate the different kinds of teacher–student interaction this apprenticeship involves. The chapter concludes with examples of the kinds of writing that children have achieved by means of this pedagogy. This chapter focuses on the genres that students are expected to read and write in the secondary school, described in the Sydney School project’s second phase, the Write it Right project. The knowledge realised in these genres is described in terms of three broad semantic tropes: classification, cause-and-effect and evaluation. These semantic themes are exemplified in a range of genres in science and history. The critical resource for building uncommonsense knowledge is then explored – grammatical metaphor. The chapter concludes by presenting the range of written genres from perspectives of categories (typology) and tendencies (topology). This chapter outlines the third generation of genre pedagogy, known as Reading to Learn. 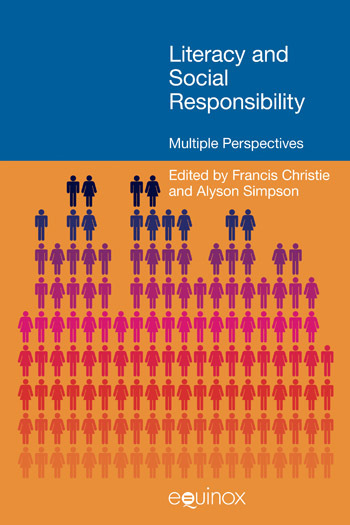 The chapter begins with its starting point in Indigenous education in Australia, and then outlines two key components: the design of classroom interactions and the model of reading. It next outlines strategies for reading three sets of genres: stories, factual texts and arguments. Each section includes strategies for preparing for reading, for reading in detail, and for using what has been learnt from reading to write new texts. The focus is on integrating reading and writing with learning the curriculum in the primary and secondary school. This chapter builds up a metalanguage that teachers can use for analysing texts, planning and teaching lessons, and assessment. he first section explores patterns of meaning in grammar, and the second section explores patterns of meaning in discourse, both from the perspective of their usefulness in teaching. The discussion is designed to build up knowledge about language in steps, modelling the sequence that can be followed in teacher education and in the classroom. 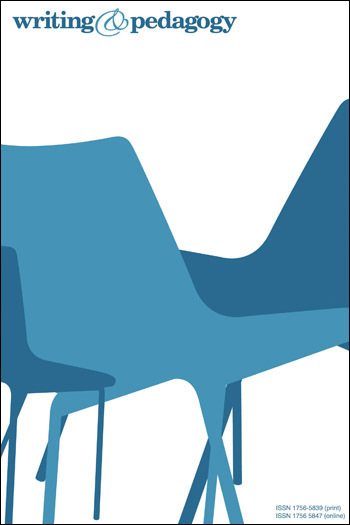 In this chapter we review the knowledge about pedagogy that has been accumulated through the Sydney School research project and outlined in the chapters of this book. We begin with the strategies that have been designed for teaching reading and writing in the classroom, and conclude with an outline of the teacher professional learning program that has evolved to apprentice teachers into the knowledge about pedagogy and language. Readers will not only learn a new approach to pedagogy but may feel it resonates with some of the reasons they joined the teaching profession in the first place. All in all, Learning to Write, Reading to Learn, is an excellent and exciting book. It demonstrates the authors’ academic interest and extensive knowledge in genre-based pedagogy and is a success in combining synchronic and diacrhonic, qualitative and quantitative research methodologies. The book is a useful framework for researchers to investigate the relation between language and education, and a powerful tool for education practitioners to reflect on current education practice and improve educational outcomes. It offers students with insights into the essence of knowledge and a short-cut way to improve their learning efficiency. It also offers social workers a penetrating revelation of the source of social injustice and a toolkit for them to promote social justice and scaffold democracy. A useful platform for further dialogue about and development of SFL-based pedagogy in the worldwide processes of recontextualisation of the pedagogy based on the pioneering work of Halliday, Hasan and Bernstein… and the subsequent development over more than five decades in dialogue with adjacent theories including Bruner, Vygotsky, Bakhtin, and many, many others. A substantive contribution to the study of genre (based) pedagogy. 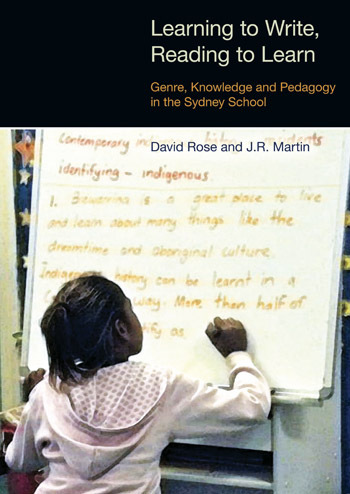 Their book represents the thirty years’ development of their approach towards ‘genre pedagogy’ and Rose and Martin should be applauded for presenting such cutting-edge research which has clear and immediate relevance for the modern day multi-ethnic classroom. Provides a rich and profound overview of the groundbreaking work concerning the teaching of writing and reading in Australia often named The Australian Genre Pedagogy. The book is a gold mine for newcomers of this pedagogy as well as those already engaged and informed.